Brian Joss – Ford Motor Company of Southern Africa (FMCSA) is using its Driving Skills for Life (DSFL) training programme to continue raising awareness regarding road safety in South Africa. “It is well known that South Africa has one of the world’s highest number of traffic accidents, injuries and fatalities, with the Automobile Association highlighting that over 14 000 people die on our roads each year,” says Neale Hill, managing drector, FMCSA. “During the peak festive season, between 1 December 2018 and 8 January 2019, 1 612 people died on our roads, which was accurately described as a national disaster by Transport Minister Blade Nzimande. 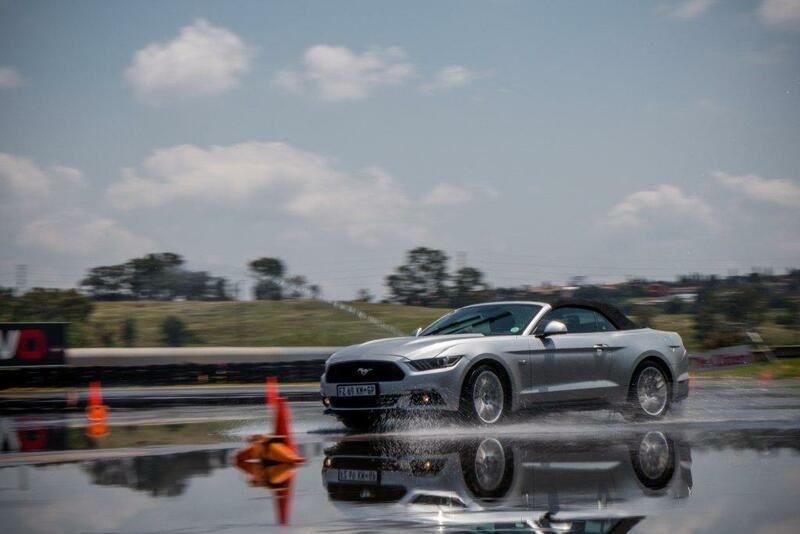 To reinforce the crucial road safety message, Ford hosted a high-impact DSFL day at Zwartkops Raceway, west of Pretoria, using a variety of Ford products comprising the Mustang, Ranger, Everest, Fiesta and EcoSport. “Through Driving Skills for Life, in association with industry partners, we are continually striving to create a far better understanding and awareness among the motoring public regarding road safety. Everyone needs to become more responsible and play their part in reducing the number of lives lost each year,” Hill states. Introduced and backed by the Ford Motor Company Fund, DSFL is Ford’s flagship road safety campaign which was launched in South Africa in 2010. It has been rolled out to a further seven markets in Sub-Saharan Africa (SSA), comprising Nigeria, Angola, Kenya, Uganda, Zambia, Zimbabwe and Madagascar. To date, more than 3 800 drivers have benefitted from the DSFL courses which are offered free of charge to customers in these markets. One of the leading causes of collisions is drunk driving, which has a dramatic impact on the driver’s concentration levels, overall awareness, depth perception and peripheral vision, reaction times and reflexes. To prove the point, the Driving Skills for Life team uses drunk goggles that simulate the dramatic effects of driving under the influence of alcohol. Visit: www.ford.co.za/about-ford/driving-skills/ for programme details, including course availability and locations.